Want a pain free dental filling procedure? New dental laser treatment. Dental care shouldn’t be a pain. 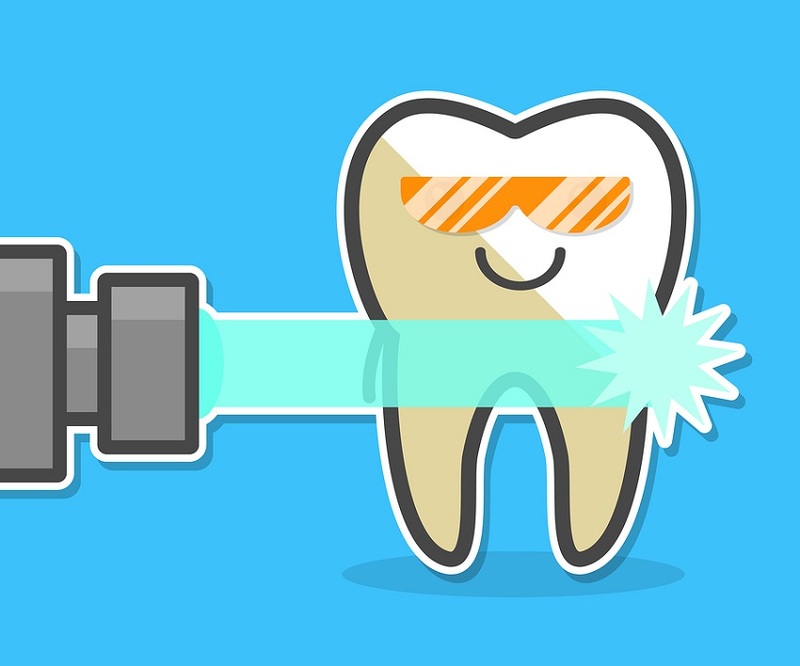 Now there’s laser dentistry. It’s the virtually painless and always precise way for Dr. Medina to perform many normally invasive dental procedures without annoying drills and needles, and you can avoid that numb jaw experience that keeps you from eating and talking right after treatment. It’s understandable why, until now, many people have avoided going to the dentist. But now, for many patients, that completely changed with the introduction of the latest technology in dentistry, laser dental treatments. Laser dentistry combines the natural power of air, water and laser (light) energy to safely remove decayed or damaged tissue from your mouth, such as to repair a cavity on a decayed tooth, without damaging any more of the surrounding tooth/tissue than is absolutely necessary. In normal dental procedures heat and dehydration of the tooth cells lead to extreme pain which requires anesthetic. But the combination of water and laser keep the tooth hydrated and cool throughout the procedure. For most, this means no pain or discomfort without local or general anesthesia. When you have painful cavities, you want them addressed now. And you don’t want to make multiple appointments that interfere with school, work and life. But with laser dentistry, since there is typically no need for anesthetic, Dr. Medina can do multiple procedures in one visit. With traditional dental technology, a broad area of the tooth is damaged because, while well-crafted, drills are simply not as precise as a laser. Drilling can cause cracks and result in dental pain. And drilling requires removal of larger chunks of the tooth or damage to larger areas of soft tissue, leading to bleeding and swelling. But a dental laser can precisely target the affected area, leaving the rest intact. This is important because you not only avoid pain and bleeding, but you keep more of the natural tooth, which is better for your dental health and can reduce the number and cost of procedures you need later to replace or repair a tooth. Lasers have been safely used in medical procedures for many years. Dermatologists, ophthalmologists and surgeons perform some very intricate and sensitive work with lasers on critical parts of our bodies, like the eyes. Laser dentistry is a new and innovative application in the dental field of safe and trusted technology and is perfect for both adults and children. 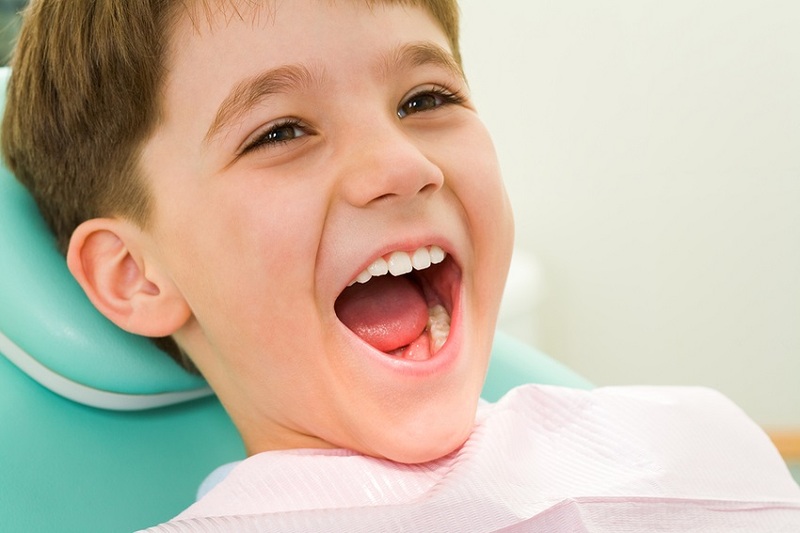 For children, visiting a dentist can be scary, but with laser dentistry, since the treatment means no shots, no pain, the dentist visit is a lot easier for both the child and the parent. And, because pain medication is not needed, Dr. Medina may be able to combine one or more of the above procedures in a single visit. When it’s time for your next dental procedure, be sure to ask Dr. Medina if laser dentistry is an option for you. To find out more about laser dentistry and painless dental care, contact us today.